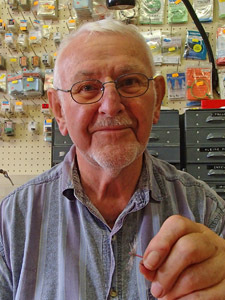 Heinz Kneubühler is well known in Switzerland, first as caster who won many national championships in fly- distance casting , but also as one of the most sucessful flyfishermen. 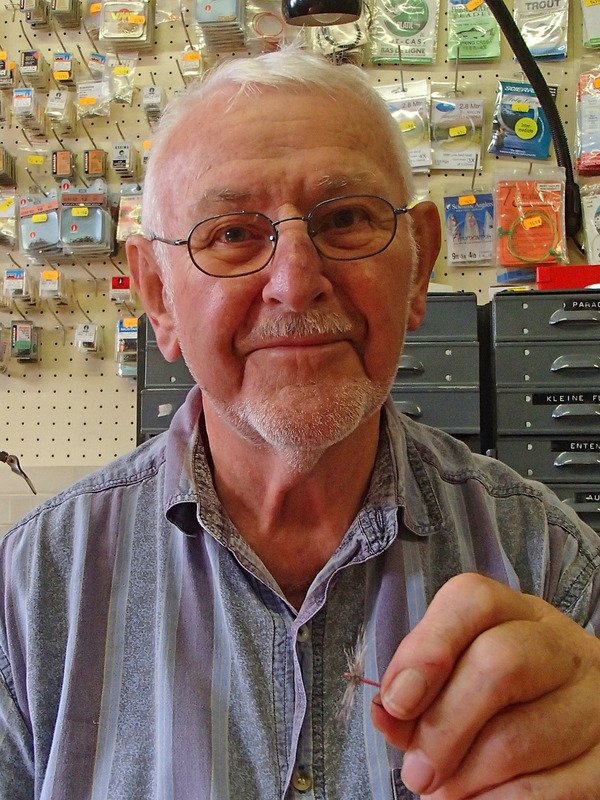 Having a shop in Burgdorf, Switzerland he sells flies made in his own small fly making factory. In the best times, the whole family was tying flies. 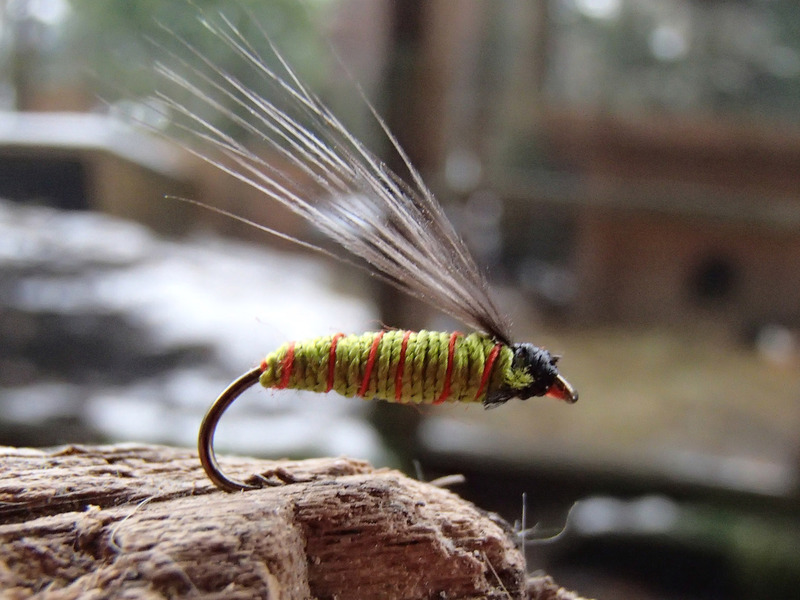 His flies are the result of years of fishing- just simple, very productive patterns. 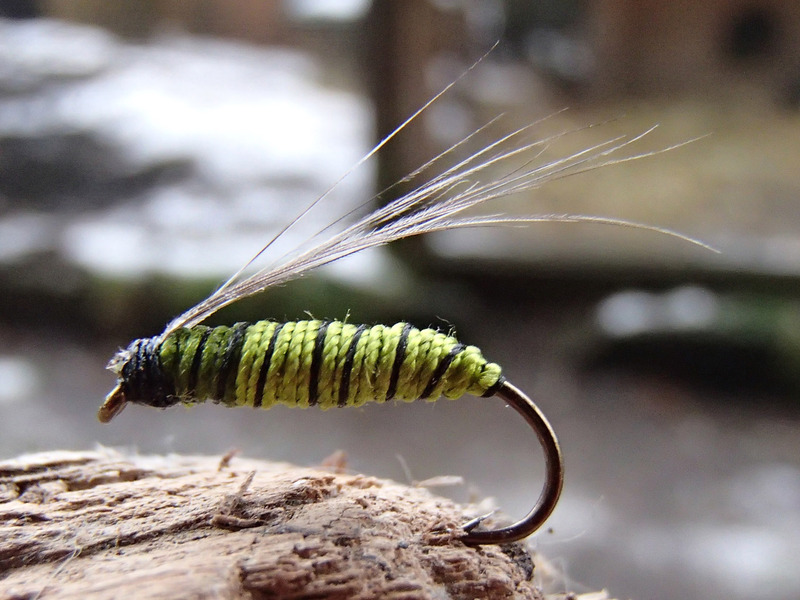 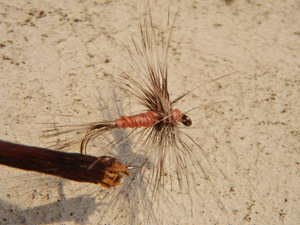 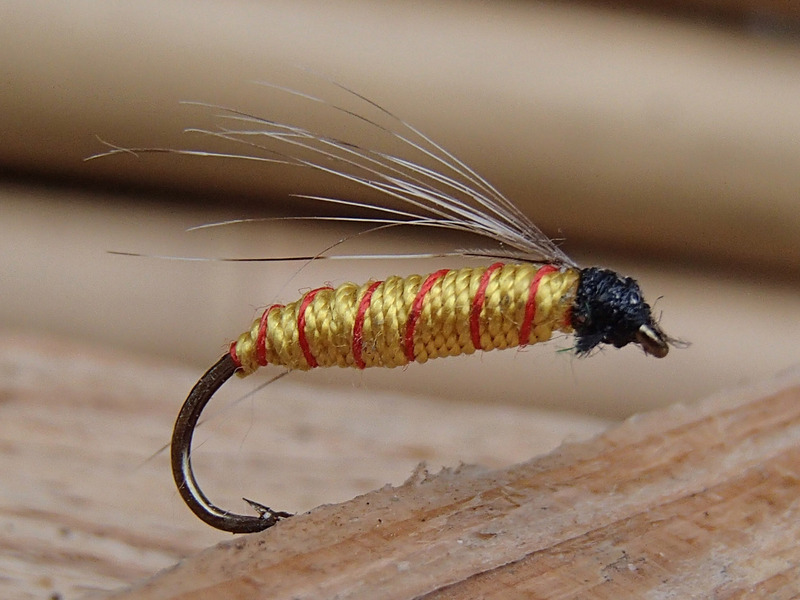 The "Emmebäse" is one of the most sucessful flies for all prealpine rivers, tied entirely by hand, without a vise. Copyright Swissflies - Swiss historical flies. 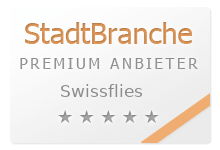 Any commercial remake is forbidden without the written permission of Swissflies and the Kneubühler family.